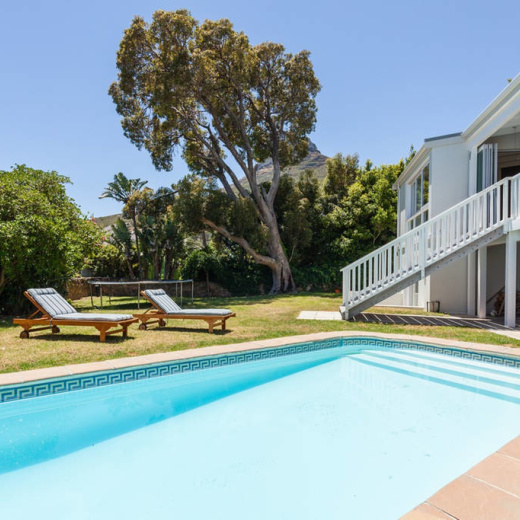 A modern and spacious 4 bedroom 'beach-house styled' home in the sought after 'deep glen' part of Camps Bay and the ideal location for a family holiday or private getaway. The villa is situated in a secure and quiet cul-de-sac with sea views and spacious entertainment areas, the lovely open plan living and social deck and braai area will make you want to return again and again. This fully equipped self-catering property will make your stay in Camps Bay truly one to remember and experience again.